Talking Dog Studios develops interactive products for advertising and e-learning using Virtual, Augmented and Mixed Reality. Talking Dog also offers expertise in audio production for film, television, and interactive media. Talking Dog is proud to offer expertise in VR, AR, Mixed Reality, games, and apps. The next time you’re in Regina, Canada, be sure to visit the RCMP Heritage Centre to try out Talking Dog’s amazing Musical Ride VR installation. Visitors to the Centre can have the unique experience of being able to walk into a barn environment, climb onto a saddle, put on a VR headset, and not just see and hear, but feel what it’s like to be a rider in the RCMP Musical Ride. Other interactive projects of note from the Talking Dog team include a dual-screen kiosk on permanent display in the entrance area of the Saskatchewan Legislative Building, as well as an interactive 3D display and game on tour with the Royal Saskatchewan Museum’s prehistoric crocodile exhibit, “Big Bert”. Talking Dog has created complex interactive experiences for Mosaic, SaskPower, Sasktel, and Worksafe Saskatchewan as part of their collaborative work with the province’s marketing agencies. Talking Dog Studios is located in the northeast corner of a two-block-long building known as “the old GM plant” (and yes, General Motors did start making cars at this location way back in 1928). 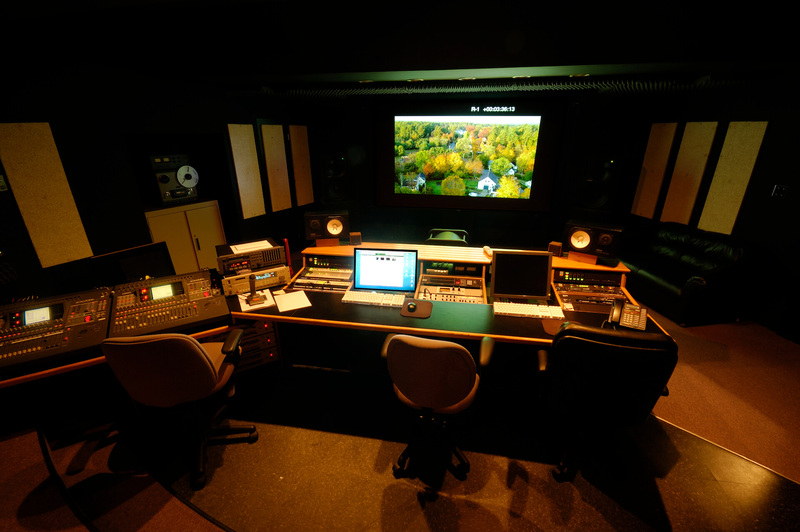 Talking Dog began in 1989 as a music studio, and over the following decades grew to become one of Canada’s largest audio post facilities. Fully authorized by Dolby for theatrical 5.1 mixing, they have been nominated ten times for Canada’s prestigious Gemini Awards for their sound and music work: five times for “Best Sound for a Dramatic Series”, and five times for “Best Original Music for a Dramatic Series”. They were responsible for the music and the complete audio post on all six years of the hugely popular CTV comedy “Corner Gas” (the most successful scripted television series ever produced in Canada!). Then, in 2009, the Talking Dog team began developing their expertise in the exciting world of Augmented Reality. With high-profile projects for recognized names like Legendary Pictures and the Mayo Clinic, this technology requires a unique mix of leading edge technology, creativity, and experience within a wide range of media creation. Talking Dog gratefully acknowledges the financial support received from Creative Saskatchewan to assist us in the development and promotion of our innovative interactive experiences.